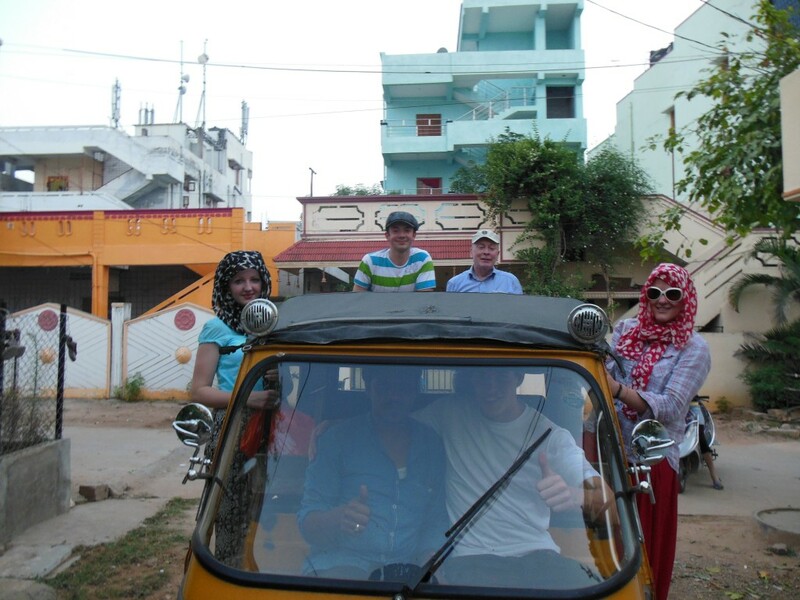 The Indian experience so far is fairly inexplicable…it’s a chaotic mish-mash of colour, goats, took took, mopeds and many many a near death experience! Everything moves so fast and is so exciting! It’s going to be hard to go back to the safe and quiet UK. I’ve become quite attached to the beautiful chaos! We rode a Took Took for an hour into the city to buy supplies/equipment for the children in the villages. I’m not entirely sure how to describe a Took Took…it’s a three wheeled transportation device which reminded me of a pedal car, but with a beefy motor which makes the noise of it’s name…tooktooktooktook. This entry was posted in India, Uncategorized and tagged Andhra Predesh, culture photography, digital photography, documentary photography, India, indian village life, indian village people, Indias poor villages, Photography, photography by Sam Burton, photography sam burton, photos by Sam Burton, Sam Burton, Secunderabad, somerset photographers, somerset photography, www.zummerzetphotography.co.uk, zummerzet photography, zummerzet photography 2013, zummerzet photography in India by admin. Bookmark the permalink. Enjoyed seeing your photos of KL and glad you managed to go up the Petronas towers. I know what it’s like walking around in that heat! Was great to see the city, even though it was a tad warm! Looks good – wish I was there! Look after the old chap! We are looking after the old chap, he bearing up with us very well! We are well.. now. Good times here so far off to the poor villages in 2days time.